Beginning November 1, the City of Leeds will begin its annual fall collection of BAGGED LEAVES. This service is available from November 1 through March 1. As in our neighboring cities, we will no longer offer loose leaf collection. The fact that our equipment has reached an end to its useful life and with the escalating cost of labor required to support this service makes loose leaf collection an unsustainable service. Additionally, new environmental regulations from EPA and AEM related to water quality are yet another reason as to why we must end loose leaf collection. The City provides bagged leaf pickup service to its citizens to prevent flooding, protect water quality, and to keep our neighborhood roads safe for motorist and pedestrians. Please do not place your bagged leaves into the street or gutter! Bagged leaves should be placed behind the curb (not in the street) no latter than 6AM on the day your scheduled pick up. See link below for your bagged leaf pickup schedule. The City of Leeds will host its 4th Annual Community Cleanup each year usually in April on a Saturday morning from 8:00 AM until Noon - Rain or Shine. We meet in Downtown Leeds at 8373 1st Avenue (Empty Field across from Windstream). Volunteers are always needed and this is a great community service project. Let's take pride in our community together and help clean up the City of Leeds. Help remove trash, debris, litter and make our City a cleaner place. Bring a Team! Ask friends and co-workers from your office, church school clubs and athletic teams. To volunteer, call 205.699-0934, email: inspections@leedsalabama.gov or visit www.leedsalabama.gov. The City of Leeds provides trash and limb pickup for which a small fee is charged. This service is intended for removal of limbs, not trees and for individual household items, not whole houses of furniture, appliances, etc. 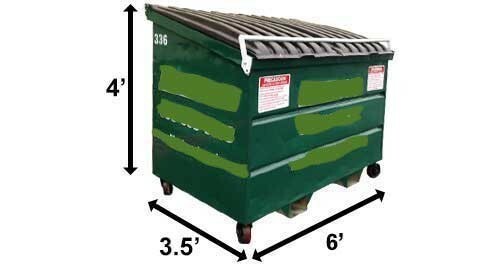 If you had a contractor cut a large tree, have a large amount of construction material, clean up an entire lot, etc., you are responsible for having a dumpster, take that material to the dump yourself or have your contractor remove the material. The City will liberally interpret rules and help wherever possible, but your help is needed for us to provide this service to everyone on an equitable basis. Material from commercial contractors and piles obviously outside the intended scope of service will be left unloaded.